Creating wealth in a shorter span of time is not everyone’s cup of tea, but if planned properly one can achieve this goal. You might often try to get into investment practices to create wealth but the result might not be as expected and rather slowed down. Wealth creation is the foundation of a financially secured life. Everyone wants to be financially secured at one point of time. But what matters is how we proceed to create wealth. Creating wealth in a shorter span of time is not everyone’s cup of tea, but if planned properly one can achieve this goal. You might often try to get into investment practices to create wealth but the result might not be as expected and rather slowed down. One such practice you opt for wealth creation is Systematic Investment Plan commonly called as SIP. While SIP remains a good option forinvestors with lower risk quotient. But the myths related to it might slow down the process of wealth creation. How to speed up this process remains a common concern. Let us first study the common myths which go around in the market. These myths are often taken seriously and the result is a slowed down progress. Also, we need to analyze how to overcome these and speed up the progress. Myth 1: SIP is meant for small investors: One of the most common myths that go around is SIP is meant only for the small investors or as generally portrayed for salaried individuals. Actual Fact: Although it is a common portrayal of SIP to be meant only for small investors, the fact remains that SIP is not limited to the amount invested. 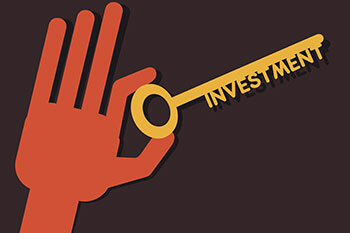 SIP works on the averaging of per unit cost of the investment, instead of timing the purchase. This has no relation to the limit of the amount to be invested by you. Though advertisements try to convey you can start a SIP with even a small amount, this definitely not means that SIP is meant only for small investors as per the common misconception among folks. You can invest into SIP with any amount be it small or large. Myth 2: SIP is a scheme: Another myth around SIP is that people often consider SIP as a fund, scheme or an investment avenue. Actual Fact: SIP is not a fund or scheme or an investment avenue rather it is a concept. It is a mode to invest where you average the per unit price of your purchase. You can invest in any kind of funds with a SIP. Myth 3: Stopping a SIP in between will cause penalty: A major myth regarding SIP preventing people to invest freely is when you stop a SIP in between you will have to pay a penalty. Actual Fact: For stopping a SIP midway all it requires is the submission of a duly signed written request by you. There is no charge or penalty levied upon stopping a SIP midway. So all of you who feel you cannot take a U-turn once you a start a SIP, feel free and invest, and whenever you wish to stop the SIP you can with just a duly signed written request. Myth 4: Once agreed, you cannot change the amount of your SIP: Another big myth which slows your wealth creation is that if you agreed upon an amount at the start of your SIP you cannot change it. Actual Fact: You can change the amount of your SIP anytime as per your convenience. If you have surplus amount for a month you can put that in the SIP and for a few months where you are short on funds, you can deposit a lesser amount those months. Myth 5: There is a specific right time to invest in SIP: Often people tend to wait for “The right time” to invest in a SIP. Actual Fact: SIP is not about timing the market, rather about the time you stay in the market. So there’s no “The right time” when you should enter the market. Don’t waste your time waiting for the right moment instead invest now and stay for a longer term for better returns. Eliminate these myths which slow down your wealth accumulation and invest into SIP as per your convenience into diverse portfolios to speed up your wealth accumulation.